Taylor Armstrong Releases Book Cover, Tells Abuse Victims: Learn From Me! by Celebrity News and Gossip, Celebrity Fashion Guide, Celebrity Beauty tips, Celebrity Hairstyles 2013, Celebrity Style 2013 and more! 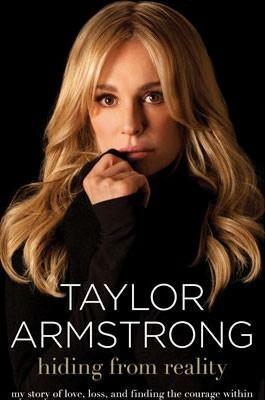 Taylor Armstrong Releases Book Cover, Tells Abuse Victims: Learn From Me! Yes, Taylor Armstrong really is coming out with a memoir that details the alleged abuse she suffered at the hands of late husband Russell Armstrong. Yes, fellow abuse victims, you can learn a lot from Taylor, namely: if you are rich and famous and have a televised platform from which you can promote, you, too, can profit from the suicide of your estranged husband. What do you think of Armstrong releasing this book?